I ran into Kim at the pediatrician’s office one day last week and then at the soccer fields this week. She’s my down-the-street-around-the-corner neighbor who organized our Guatemala team. We had texted some but I hadn’t seen her since we came home from the mission trip. I hugged her and told her how I was surprised how much I already want to go back. And then we made plans to lunch together. The next day I talked about the mission trip to my endocrinologist during my regular diabetes check up. He’s actually from Guatemala and has been in the U.S. for eight years. We talked about poverty and government corruption in his homeland. I’ve been thinking about our Compassion girl Roselyn. She lives near Guatemala City. Logistics didn’t work out for us to meet her when we were in country, but we hope to some time. While shopping at a consignment sale, I found a children’s book in both English and Spanish. It took my mind back to Guatemala, where I watched my daughter read the English words while Angelica read the Spanish words of several books. I bought “If I Had a Dragon” (aka “Si Yo Tuviera un Dragon”) and I figure I’ll get it into the hands of a Guatemalan kid one day, somehow. I want to keep my eyes open. I want to remember what I saw and experienced in Guatemala. Talking to Kim and then Dr. Figueroa and thinking about our week in Guatemala and how we were so close to Roselyn makes me want to go back – and take that book. We’ve been home 6 ½ weeks and I’m seeing things – most every little and big thing, really – differently. 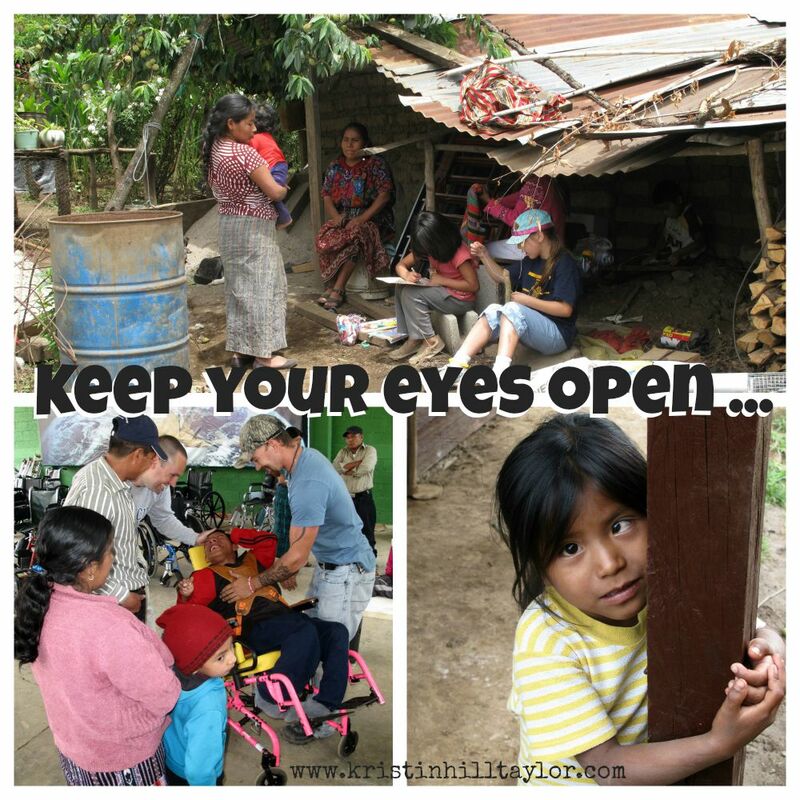 My life is being filtered by my experience in Guatemala. Yes, the poverty I saw makes me thankful for my life and all the many opportunities here. But it also reminds me people here have needs. I saw God in a new way there. And I want to keep seeing him that way here. I am notorious for complicating things and holding on too tightly to people and reactions and plans. But, really, the people and places God has used to change me the most weren’t ever part of my own plan. That’s how Guatemala was. That’s how adoption has been. That’s how life in God’s kingdom should be.